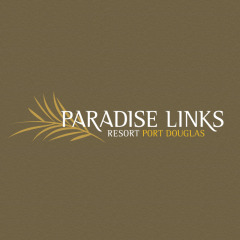 Paradise Links is set in 10 acres of lush tropical gardens and comprises of 63 self catering apartments and villas ranging from Links Rooms to 1 & 2 bedroom apartments and two story 2, 3 & 4 bedroom villas. Guests can enjoy spectacular views over the golf course. Facilities include 2 lagoon style swimming pools (heated), tennis court, basketball hoop, 2 BBQ areas and access to Sea Temple Golf Course and Country Club. The resort is located only 500m from 4 mile beach and 10 minutes drive to Macrossan Street, the hub of Port Douglas.